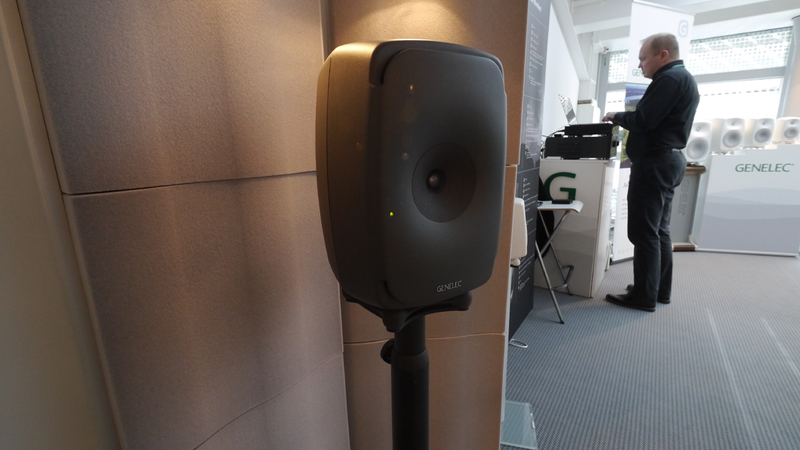 The Finns of Genelec had this new three-way active monitor with comprehensive DSP control and two oval woofers tucked out of sight but vented through those slots at the baffle edges. Perhaps this wasn't quite on par with Kii Audio but still, it does make for a rather advanced active monitor specimen in a cast aluminium clam shell which open-minded audiophiles should investigate who tire of complexity, box count and the stuckness of non-adjustable passive speakers. 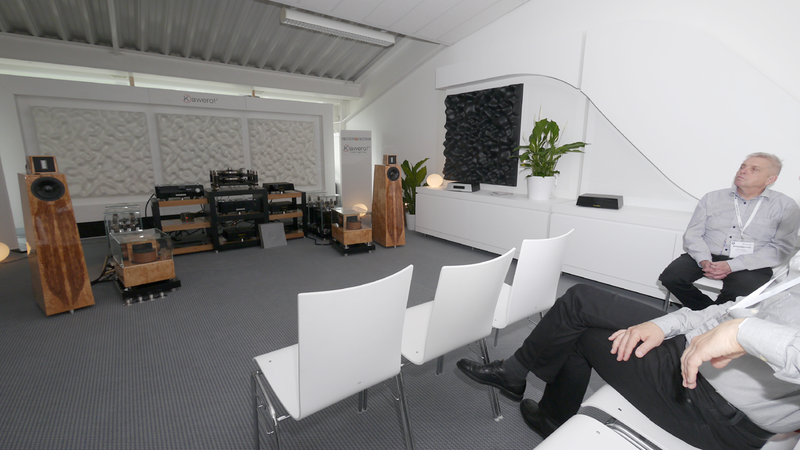 Gruensch Audio from Germany had a passive exhibit only but from talking to the father and twin sons, I expect this to be true ultra audio stuff. 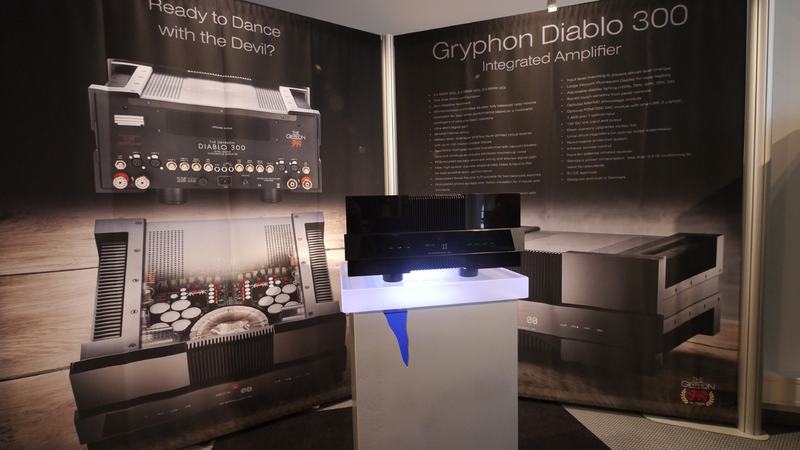 The Danes at Gryphon Audio invited attendees to dance with the devil by way of the new €12'800 Diablo 300 integrated amplifier. As the nomenclature promises, there are 300wpc of 8-ohm power on tap, doubling dutifully into 4 ohms and still delivering just shy of a kilowatt into 2. Talk about no compromise. This promises to be one of the über integrateds of 2015. Here we see the optional DAC module installed. 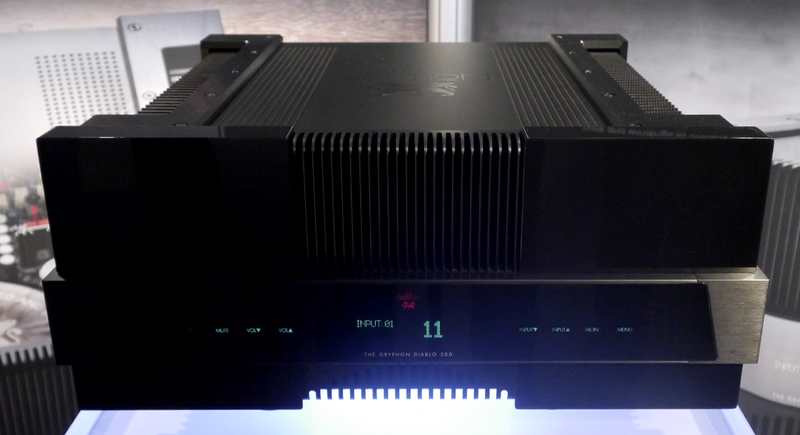 That is based on the company's top standalone PCM/DSD Kalliope converter to add €4'800 to the base version. Or it can be fitted with an MM/MC board based on the separate Legato Legacy. Here's looking at you, kid. That's how traditional integration spells in capital letters. As does upscale Scandinavian design. A devil indeed to celebrate the firm's 30th anniversary. 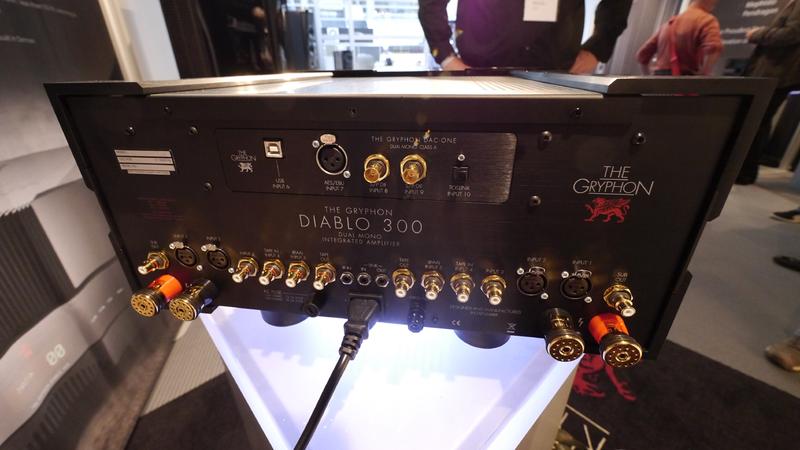 Further tech specs include a microprocessor-controlled 43-step attenuator lifted from the Pandora preamp; and bandwidth of 0.5Hz to 350kHz. With the mismanaged Stax floundering where distribution and public awareness are concerned, Fang Bian's HiFi Man HE-1000 probably tops the current crop of ultra-performance cans. It's almost certainly the King Kong of planars. With just two units on hand, I could never manage a proper still shot. I actually relied on Fang to secure a unit for a brief audition before other showgoers got busy with it again. 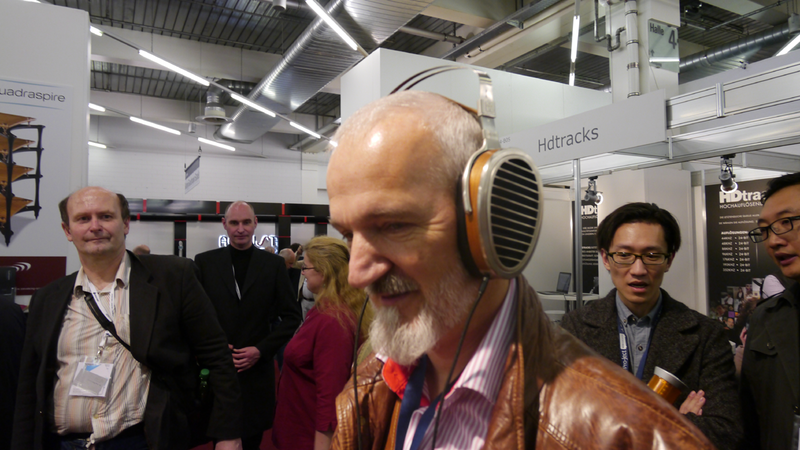 A very kind bystander waiting for me to finish up took this shot, with my hifi truffle schnotz in proper profile. Review unit organized already. 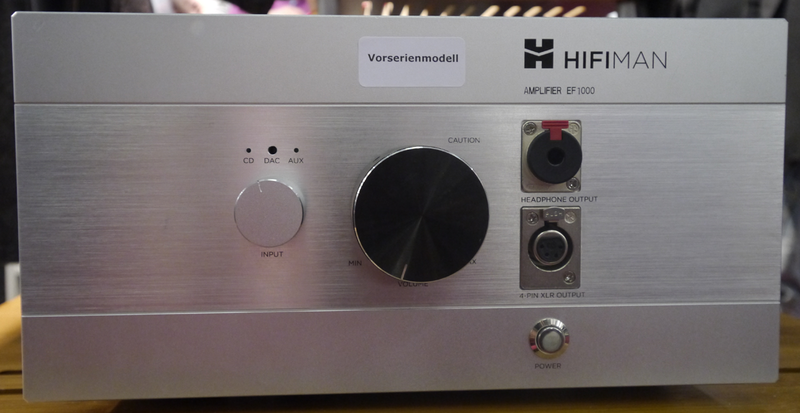 Here is the matching EF1000 amplifier, with the German sticker signifying prototype. 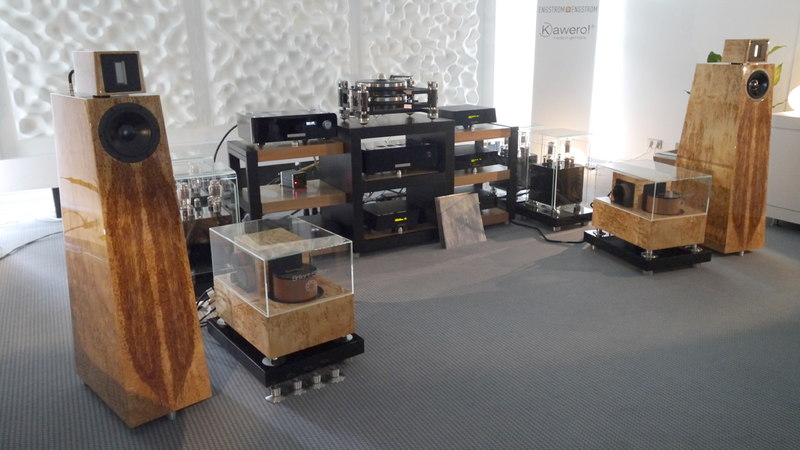 My second-favourite sound of the show came from the Kaiser Acoustics Classic speakers with (very!) 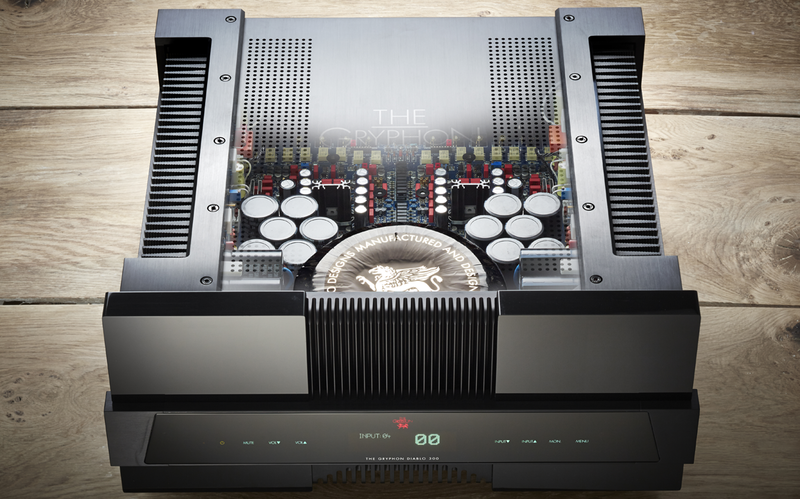 optional outboard crossover boxes—that fully Duelund silver excess costs more than the speakers themselves—and a quartet of Engstrom&Engstrom valve amps in a classic bi-amp setup, with TotalDAC providing the digital front end and Bibacord the cables. Yes this was very expensive stuff but, a/ there was absolutely no question where the money went and b/ it sounded terrific to combine "analog" warmth with "digital" detail in a very rare balance whilst remaining domestically acceptable - well, minus those enormous crossovers. 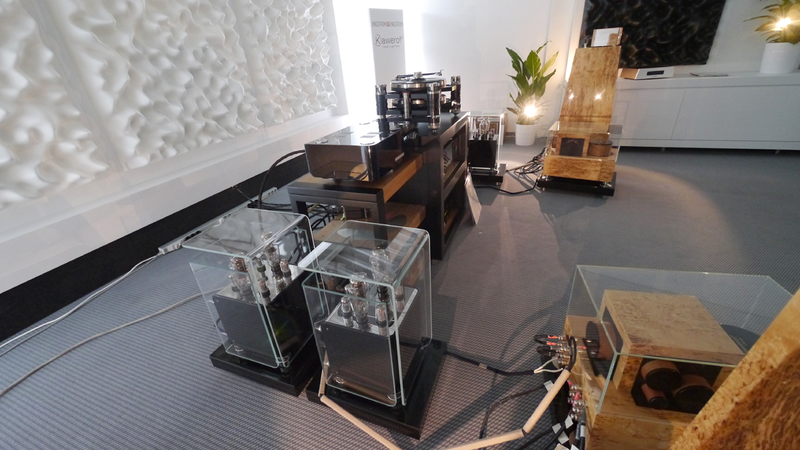 Here we see one channel's mono amps, the balsa-wood dampers of the Bibacord cables and a bit more of those filter boxes. No view of a top Kaiser room would be complete without showing their custom front and side-wall treatments. That's how true professionals sweat all the details. Anything less leaves food under the table. Even the equipment racks were of Kaiser's own design to take full control over all the variables.